A rehab centre for Nunavut? It’s a demand that for the past decade and a half has arisen over and over again in Nunavut: please, Mr. Government, please give us a treatment centre for alcohol and drug addiction. The latest, though not the first and likely not the last, comes to us via Iqaluit-Sinaa MLA Paul Okalik, who has tied the issue to the Government of Nunavut’s decision to open a tightly-controlled wine and beer store in Iqaluit as a three-year harm reduction project aimed at weaning people away from the destructive binge drinking of bootleg vodka and whisky. Okalik’s position is that this store should not open until after an addictions treatment centre is created in Iqaluit. Fair enough. That’s what led him to resign last year from the Nunavut cabinet, the proper course for ministers to follow when they do not support a cabinet decision. Since then, Okalik continues to raise the issue, inside and outside the legislature, supported, no doubt, by many Iqaluit residents and opposed by many others. You may disagree with his stand, but that’s what elected officials are supposed to do: take clear positions on issues. And should Okalik choose to seek another term in the Oct. 30, 2017 territorial election, the voters will get a chance to make a judgment. Notwithstanding all that, there’s another aspect of this issue that gets little acknowledgment: in Canada, governments—but for a few rare exceptions—do not run or manage addictions rehab centres. The vast majority of treatment centres in Canada are run by independent entities. Some, especially those that cater to the wealthy and the privileged, operate as private businesses outside the public health care system and charge whatever fees the market can bear. The luxurious Greenstone centre in central Ontario, where the late Toronto mayor, Rob Ford, received addictions treatment, is a good example. Their clients, out of their own pockets, pay fees than can amount to tens of thousands of dollars a month. But most rehab centres are operated by not-for-profit societies and agencies, or by First Nations bands, tribal councils and other Indigenous associations, or by churches and charitable organizations. Government funding, which can include direct grants, per diem payments for each client, or payments through territorial or provincial health insurance plans and programs like the NIHB, are usually essential for their survival. Such was the Inusiqsiurvik treatment centre in Apex, which operated from the fall of 1991 until early 1998, when the Baffin Regional Health Board cut off its funding. Their building, which now houses the Qimaavik women’s shelter, was owned by the Government of the Northwest Territories, but the territorial government did not operate or directly oversee its treatment program. 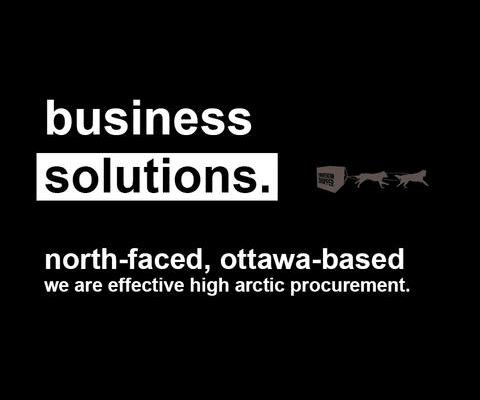 That work was done by an Iqaluit-based not-for-profit society called Upassuraakut, whose board was responsible for hiring staff, approving budgets and running the centre. The Inusiqsiurvik treatment centre’s workers were non-unionized employees of Upassuraakut, not the GNWT. That’s how the territorial government still delivers numerous social and health services, such as care homes and group homes for children and youth: contracts with third-party societies and businesses. In the case of Inusiqsiurvik, the territorial government paid the centre a per diem for each client—which in plain language means so many dollars per client per day. But for a variety of reasons, including a poor referral system and an apparent lack of interest in addictions treatment, the Inusiqsiurvik centre didn’t get enough clients. That meant their per diem payments were usually not enough to pay the centre’s bills. The Baffin Regional Health Board stopped supporting Inusiqsiurvik and the building ended up as a shelter for battered women and children. 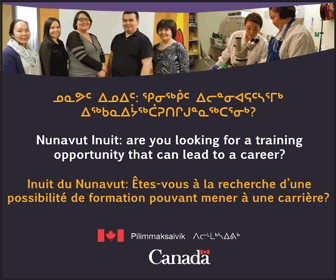 If Nunavut is to see the creation of another rehab centre, its operations will likely be structured in a similar manner, a third-party society or business operating under a contract with the territorial government. This means the following must happen. One, some group or organization must create an entity capable of putting together a credible proposal for the government and then lobby hard for it. 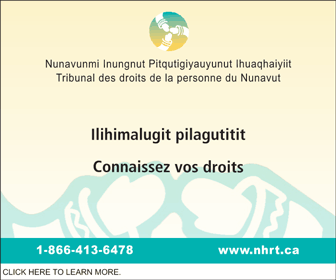 Second, the proponent must demonstrate there are sufficient numbers of potential clients in Nunavut willing to seek treatment if referred by a doctor, nurse or the court. It’s pointless to build a treatment centre that will end up receiving only small numbers of clients. Some people argue that rehab centres suffer poor success rates because of the large numbers of people who lapse into alcohol and drug abuse after receiving treatment. On that point, there doesn’t seem to be a lot of hard evidence on either side of the question, and it’s not a valid reason not to try again in Nunavut.